Pre-Order now and pick up at our Holiday Event on December 16th. See upcoming events for details. Coupon codes for “CCOM” “Jail” and “Brooks” are still valid for those employees only for free drop off. 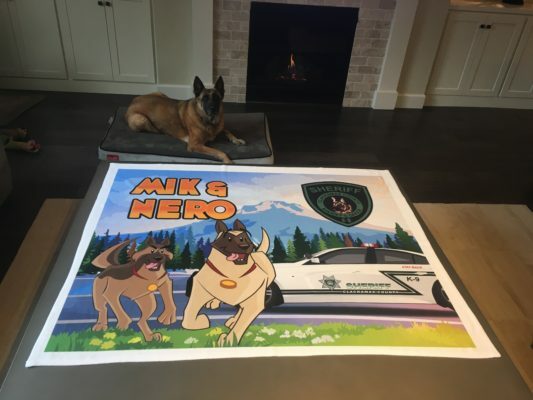 Make a 100% tax deductible donation to support Clackamas County retired K-9's Send a check payable to: CCPOBF "K-9" on the memo line PO Box 678 Clackamas, OR 97015 Once the check is received, a tax deductible receipt will be mailed back to you. Thank you for your support to make sure these hard working dogs receive the relaxing retirement they deserve! !